Observation - Small Tortoiseshell - UK and Ireland. Description: Single individual seen on Dandelion on cool, sunny day within Llanelli WWT grounds. 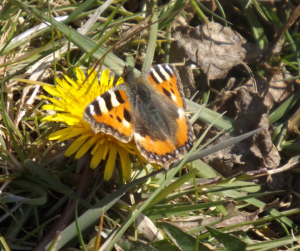 Single individual seen on Dandelion on cool, sunny day within Llanelli WWT grounds.